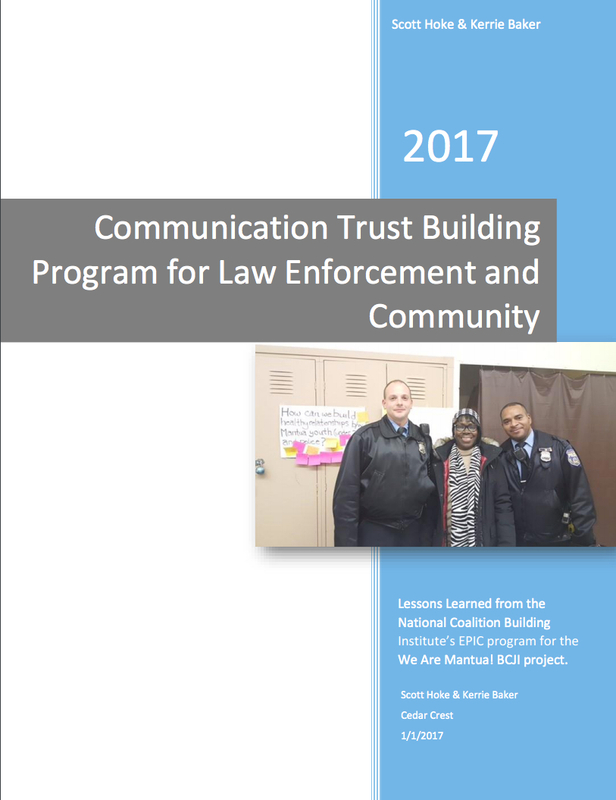 Recent work with law enforcement agencies and their communities convinced NCBI of the need to develop a leadership training program, one which addresses the communication gap between law enforcement and local communities as well as communication issues within law enforcement itself. The NCBI training program is an investment that will improve relationships in your department and in your communities, and can be tailored to fit the unique needs of specific agencies or groups of law enforcement professionals and communities. The program can be designed as a half-day of instruction, one-day, two-day or three-day workshop and can also be set up as coaching sessions to improve leadership and communication skills among officers, or between officers and community representatives. Participants who will benefit from this training program are city, county, state, and campus police; corrections employees; federal law enforcement officers; detectives; civilian support staff and law enforcement managers; private security officers; and citizens interested in improving how police and community residents work together. Attendees will learn skills to effectively navigate the daily communication challenges of working in an increasingly diverse community. 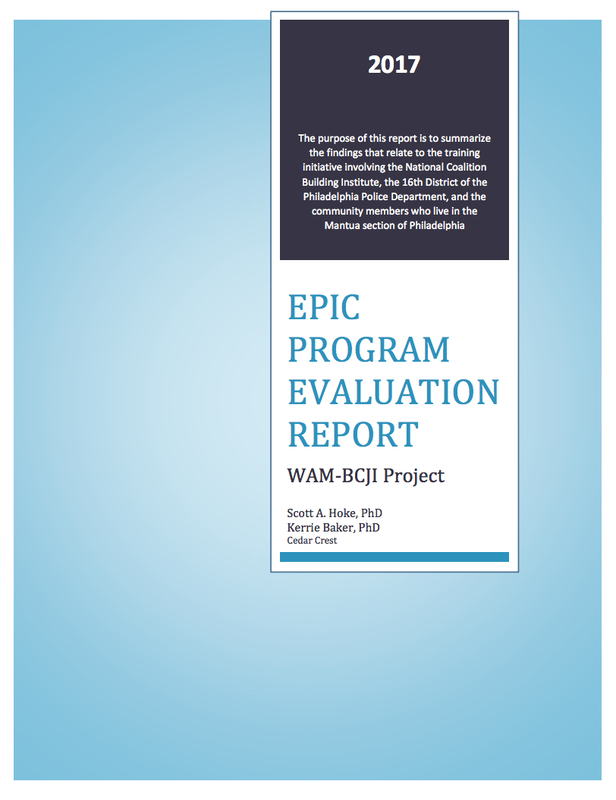 Download our overview brochure of the program here. Effectively engage neighborhood participation in community safety efforts. Appreciate and work through diverse community challenges. Improve communication within the department, including within the chain of command. Effectively support local law enforcement professionals for common goals. Appreciate and work with law enforcement officers to promote community well-being. Lead effective trust building workshops, meetings, and community wide forums. Take a leadership role in block watch meetings. Provide prevention and crisis intervention programs in the community. Lead conflict resolution sessions that teach others to find common ground in emotionally-charged issues. Build authentic relationships between law enforcement and residents so they can call on each other when difficult issues emerge. The terminology used must be relevant. NCBI takes live issues that police officers confront daily and teaches skills to handles these incidents in a more positive manner. Diversity training is called ‘customer service,’ and police officers learn how to relate more effectively to community residents by seeing them as clients or customers. The NCBI training provides an opportunity for law enforcement and community members to think outside of the box and to share histories and experiences in a safe, respectful environment — away from the tensions of everyday life and work. Building upon the professionalism of all the participants and offering a perspective that effective law enforcement depends upon good community relations, the NCBI law enforcement training program encourages everyone to play a part in leading the way toward constructive change.